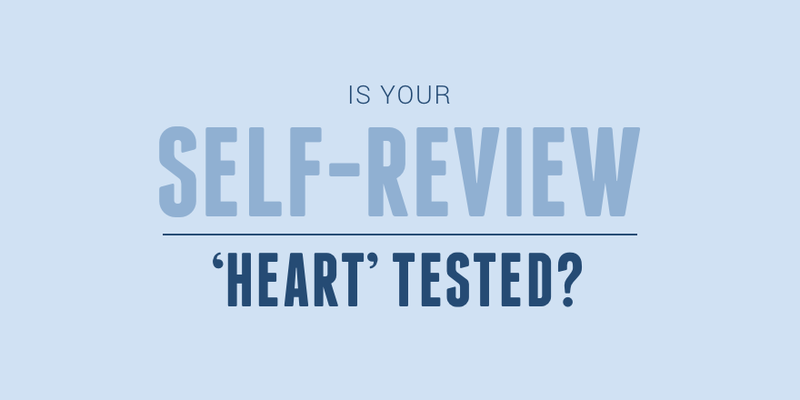 Is your self-review 'heart' tested? Self-review - do you cringe or do you smile when you hear this jargon? Is it something you need to do to tick the necessary boxes or is it something you find important as a tool to stay true to yourself and shine a light on the things that matter most to you or your team? Who, what and why are you reviewing? Let’s have a closer look at the word ‘self-review’. Doesn’t it mean to look at yourself? Doesn’t it invite you to ask yourself questions that make you ponder on how real you feel, how alive you feel, how joyous you feel? Most likely you are thinking we are kidding. Who cares how I really feel? Who cares how alive I am? What does that have to do with early childhood education? Self-review, it’s not about me, it is about the child. But we say NO, wake up, it is ABOUT YOU! Teaching is a qualification from the HEART! Investing in ourselves is actually an investment in the children in the long run. The more we have in our own vessel, the more we are able to give to them. We cannot take a compartmentalised approach to who we are outside and inside our work environment. The view that professionalism means leaving your real self at home is unrealistic. If we start from a very 'full' bucket to drip from, we will be able to be more engaged, more authentic and more present! Who we are with the children is even more important than what we do when we are with them. A truly heart-centered teacher is committed to his or her own personal growth as much as to the growth of the child. How can we, the teachers, BE there for and with the children if we have stopped growing ourselves? If we could think more about it and really question things it would make for some really good natural reviews. And they would not always focus on the child. What would happen if we were all REAL and reviewed our SELF as a person, a teacher, a team player, a free and equal human being? It is easier to work with a person who lacks skill than a person who lacks attitude. It is not the place or the philosophy that sets places apart, it is the love and commitment to the child being central and at the heart of the matter. It is the people who truly believe that LOVE and CARE are what makes a place and they do not sacrifice or water down anything that would compromise the children, the people and the practice. And they would not compromise themselves. These are the people we want to grow our children, our families, our communities! Who you are is more important than what you teach. It is about how you are within yourself. These are the things that are not ticked and measured. The usually prescribed evaluation tools for measuring a teacher’s performance focus so strongly on the skill set and ‘head’ practice of teaching only. Self reviews have become orchestrated and mechanical. A chore, a job, a time consuming compliance aspect. Another task that requires more writing and justifying. Non of which is rewarding. The paperwork keeps piling up and we feel drained. Everybody does them, but how authentic and helpful are they really? Are they just another tick box? Another piece of useless paperwork that gets put in a folder until next year or when ERO comes? The ongoing need for documentation and administration is weighing teachers down and this can contribute to 'presence' and the ‘right attitude’ being more challenging to attain. Be mindful and complacency will not get a foot hold. Even if that is not you or your centre, and you feel you are top notch, you will still need to do self-review. You can make it so you can tick the box of compliance, or you can do it so it is a really beneficial and meaningful tool for growth. Even if you are doing well, the danger in doing things well is becoming complacent. We should never stop questioning what we are doing. Self-reviews need to be real and purposeful. They need to be a reflection of what we do as a team and mirror our philosophy authentically. To be a truly authentic teacher and to create a truly authentic team, start reflecting on why you do what you do and for what purpose. Imagine if you actually got excited about self-review and you knew from this process you would grow and your team would grow. We all have the option to grow! As a team recreate the process and make the review meaningful. We believe strongly in paperwork and processes being HEART tested - hand on heart asking some questions to get to the heart of the issue. Issues that really matter. The beauty of teaching from a heart place is admitting that we too are on a learning journey, and continually have growing to do. Give your self-review a full heart makeover. What may have been a process to get a finished product can be turned around and made a review that is equally as balanced in the unseen as the seen. The fruits of the process will be MAGIC... and meaningful! Newer PostAre you keeping Christmas in your heart? Older PostDo we want Independence or Competence?